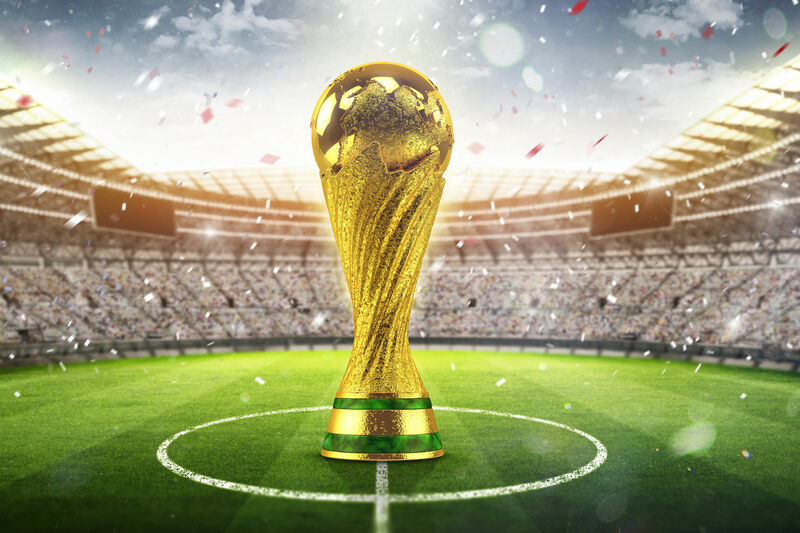 Thirty-two countries, along with throngs of millions of loyal fans, have descended upon Russia to battle it out for the World Cup. 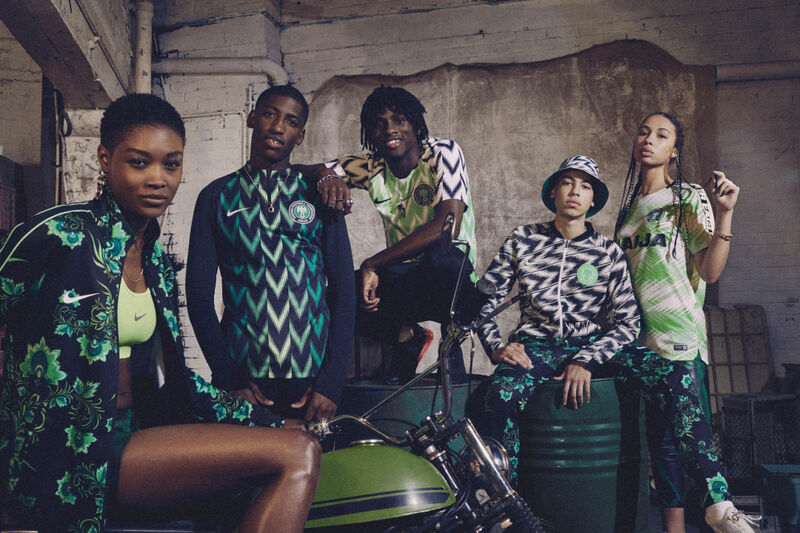 Amid the whizzing blur of men deftly dancing the ball from one end to the other, one team’s colorful jerseys have stood out above the rest: the Nigerian Super Eagles, whose bright blaze of patterned apple-green jerseys, floral tracksuits, and geometric bucket hats have created a fashion buzz, and lines at Nike stores around the world. The cool looks fit the youthful nation: almost half of Nigeria’s population is under the age of 25, including superstar 19-year old goalie Francis Uzoho. The spirit of “Naija,” a word symbolizing patriotism and optimism, helped fuel the design process to make this untraditional kit. We spoke Pete Hoppins—Nike’s soccer apparel senior design director, and co-owner of SE Hawthorne's World Cup pub hub Toffee Club—about making the jerseys, and how it felt to have fans buy up all 3 million in minutes. How did the design process begin? And how long did it last? It's about two-year design process, from the initial research to the actual kit on pitch and in the stores. There's a design language we use across all the teams. But what was different with Nigeria is the level of service. We have a tiering system, so the top teams get the most amount of product and design time, but we wanted to do something different with Nigeria to show the world what we could do. Yes. The top teams like England, Brazil, Portugal are pretty traditional [in their uniforms]. There's a lot of heritage and history that we have to adhere to. Like we can't not do an English white. And the yellow jersey of Brazil is sacred. So you are limited to what you can do with these guys. We really wanted to take a team that would be open to doing something more radical. We kept coming back to Nigeria and as we got deeper and deeper and deeper into our research—we were basically, like, stalking all their players on Instagram—we saw a whole music and fashion scene bubbling away. There’s a Nigerian fashion week in London; there’s grime artists; there’s [singer/songwriter] WizKid. We started to connect all these dots and really felt like, OK, there's something here we can tap into. Some of the original designs were much more muted [than the final version], but we went through the process and we started to ramp it up, making sure it was just as bold an expression as we could possibly make it and still be wearable. 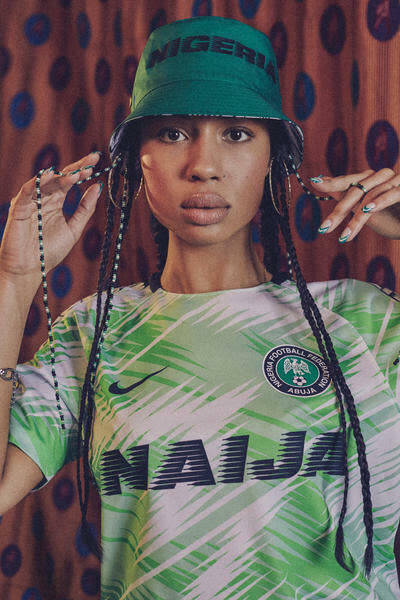 We built a full collection of products around the Naija story, and that's where you can see the tracksuits, the bucket hats, and the pregame tops. You mentioned that some of the big teams have very traditional jerseys because there's a lot of history behind them. But now the Nigerian kits stand out in the crowd. Do you think this bolder approach will spur other countries to take design risks in the future? Yeah, for sure. We're already seeing that. We're in the process of designing for the Euro championships 2020. We've already been getting that feedback from teams that “We want some of that Naija vibes.” But what we're looking at is the approach in terms of how we designed with Nigeria. Because the look doesn’t work for everybody. 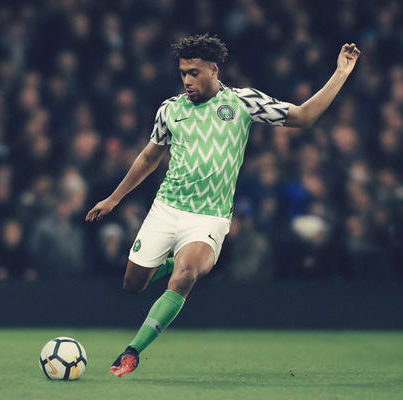 The England home kit can’t look like Nigeria’s. That's not who we are—and the same with the USA. So you have to get a better understanding of the youth of that country. There might be a nod to tradition, whether that's through color or some storytelling, but it's really about what the younger generation would want to wear. Totally. And that's why it worked for them. I mean, there are other kits out there that are equally crazy, but Nigeria’s works because of what's going on in that country. But you’ll definitely see more [like it]. It's like the tipping point of how football and lifestyle is coming together right now. If you think of basketball in the mid to late '80s, skateboarding in the '90s... football is really having its moment right now. The bucket hats and the track suits remind us so much of Run DMC and Beastie Boys. Were you expecting people to freak out over these as much as they did? Not to this extent. I mean, I don't think we've ever seen people queuing outside stores to buy a football jersey before. I don't think that that's ever happened. We knew it was going to be good. We didn't really know to the extent how popular it would be. It must be pretty fun for you to sit in your own bar, Toffee Club, watching Nigeria play in a jersey you helped design. Oh yeah. That's what it's all about. We've been working super hard. Whether it's working on the pub, or working on these kit designs at Nike, the two worlds have come together for this moment. 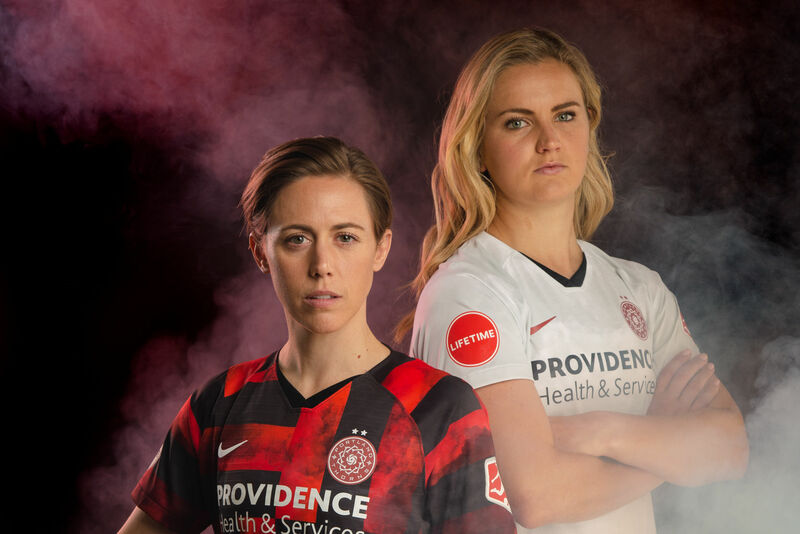 But just to see everybody else's excitement about the World Cup, and specifically the jerseys this year—it's all been pretty amazing. Below, watch This is Naija: A Nigerian Football Story, a mini-documentary exploring the country's soccer culture.